Just because you can afford to buy a supercar, doesn't mean you know how to drive it, especially on public roads. 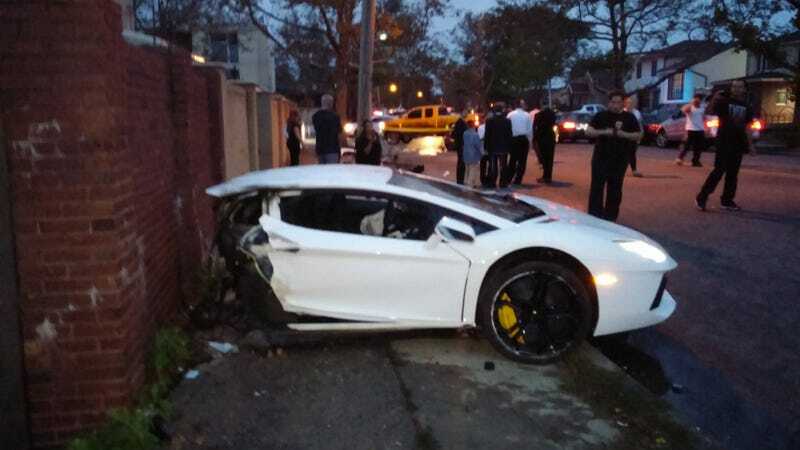 It's a good thing then, that this Lamborghini Aventador managed to save the life of its driver when it crashed in the neighborhood of Mill Basin, in Brooklyn. Originally posted on the r/WTF section of Reddit by user nunii, it appears like the Lamborghini actually did what it was designed to do. In extreme crashes, cars like these are built to dissipate the energy from the impact while still maintaing the structure of the safety cell that contains the occupants, which is exactly what happened here. He went on to say that the driver of the Lamborghini was walking around as if nothing happened. The driver, in this case, was very fortunate. That's why we never encourage street racing here on Jalopnik. While speed doesn't kill, improper car control does.